March 17th is St. Patrick's Day... but what do you really know about St. Patrick? Chances are you've heard the basics- Irish saint, drove the snakes out of Ireland, right? 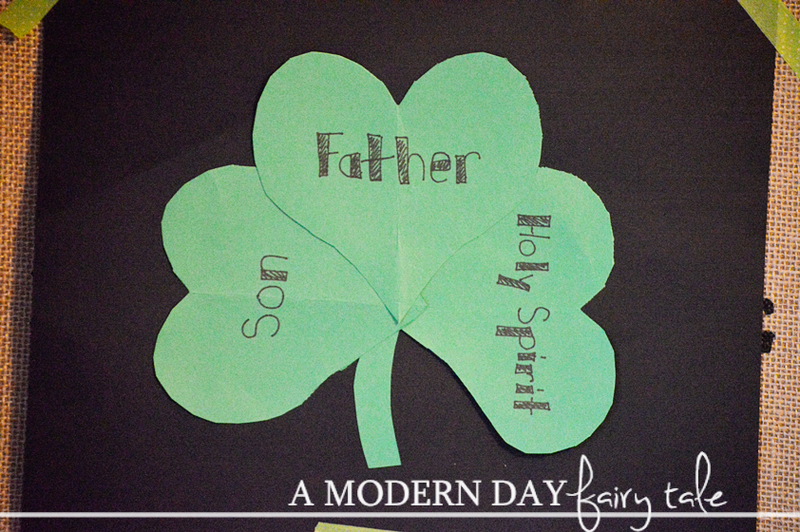 One of the things I loved learning most about St. Patrick was how he used the shamrock to teach about the Holy Trinity. This is such a hard concept to really wrap your mind around- and one that can be especially confusing for children! So, today, I'm sharing a simple paper craft that will help build that foundation for little ones! Using the green construction paper, cut out three hearts. If you have a Silhouette, you can use this for more precise cutting, but hand cutting works well too! Also cut a stem for your shamrock as well. Now, on each heart write one of these words, 'Father', 'Son', 'Holy Spirit'. You can also change that to God and Jesus, if preferred! Now on a blank sheet of paper, start gluing your hearts, creating a shamrock shape. Add the stem. That's it,as I said, this craft is VERY simple and quick making it ideal for both home and Sunday School.What I love most about this craft is that not only does it help teach children about such an important aspect of Christianity, but it uses hearts to do so. What greater symbol to represent the trinity. Three hearts coming together to form one! Truly a great lesson for this time of year! Wow! I can't believe St. Patrick was not Irish. You learn something new everyday! I didn't know he wasn't Irish either. The craft is very nice. What a cute idea for kids. I like that young kids could do this, with a little helps, and feel like they really did it. This is a really neat idea for a craft! I love the idea of crafts that go with lessons as well, I would love for my daughter to do this craft next year.